Plants have to counteract unavoidable stress-caused anomalies such as oxidative stress to sustain their lives and serve heterotrophic organisms including humans. Among major enzymatic antioxidants, catalase (CAT; EC 1.11.1.6) and ascorbate peroxidase (APX; EC 1.11.1.11) are representative heme enzymes meant for metabolizing stress-provoked reactive oxygen species (ROS; such as H2O2) and controlling their potential impacts on cellular metabolism and functions. CAT mainly occurs in peroxisomes and catalyzes the dismutation reaction without requiring any reductant; whereas, APX has a higher affinity for H2O2 and utilizes ascorbate (AsA) as specific electron donor for the reduction of H2O2 into H2O in organelles including chloroplasts, cytosol, mitochondria, and peroxisomes. Literature is extensive on the glutathione-associated H2O2-metabolizing systems in plants. However, discussion is meager or scattered in the literature available on the biochemical and genomic characterization as well as techniques for the assays of CAT and APX and their modulation in plants under abiotic stresses. This paper aims (a) to introduce oxidative stress-causative factors and highlights their relationship with abiotic stresses in plants; (b) to overview structure, occurrence, and significance of CAT and APX in plants; (c) to summarize the principles of current technologies used to assay CAT and APX in plants; (d) to appraise available literature on the modulation of CAT and APX in plants under major abiotic stresses; and finally, (e) to consider a brief cross-talk on the CAT and APX, and this also highlights the aspects unexplored so far. NAA (SFRH/BPD/84671/2012), ACD, and EP are grateful to the Portuguese Foundation for Science and Technology (FCT) and the Aveiro University Research Institute/Center for Environmental and Marine Studies (CESAM) for partial financial support. SSG and NT acknowledge the funds from CSIR and UGC, Government of India, New Delhi. 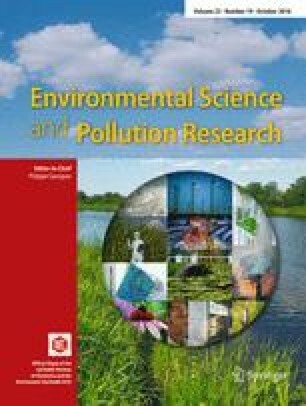 Authors apologize if some references related to the main theme of the current article could not be cited due to space constraint.